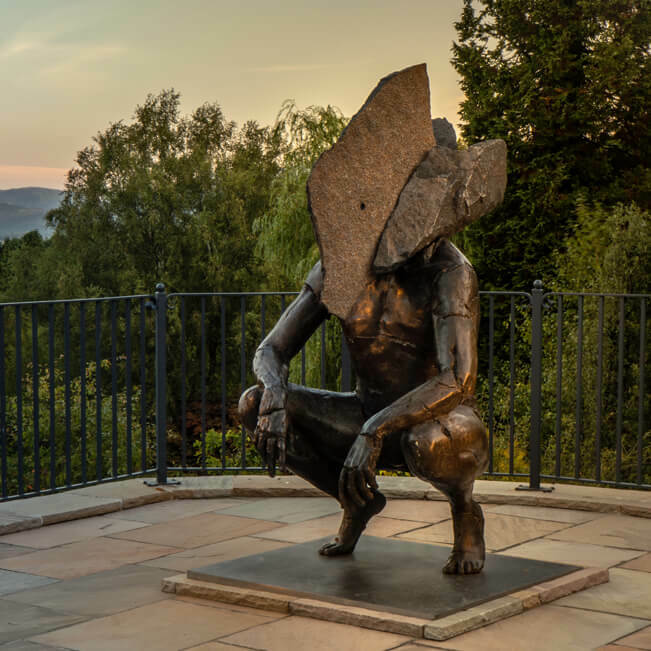 Positioned on the terrace overlooking the gardens, Sit appears like a guardian between sleeping and wakefulness. Standing among the wildflowers in the meadow, the multiple facets of this sculpture carved in Italian marble play with the light. 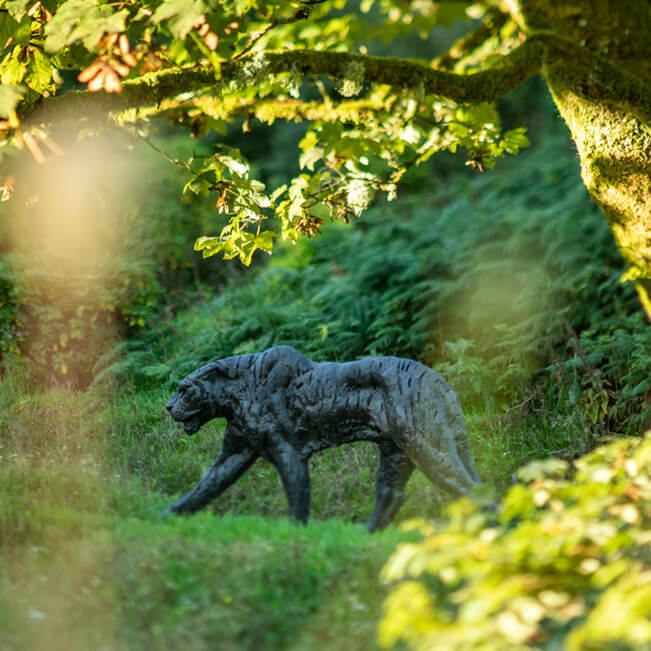 As the name suggests, this imposing tiger strides along the edge of the embankment.